Estate. Born in Washington, DC and Baltimore, Maryland where she was on her way to becoming a dancer. In 1983, she realized that moving to New York was the best way to propel her dance and theatre career. For 15 years she worked on many productions and eventually landed a position as manager of a Dance School. Unfortunately the dance school lost its building lease and had to close but that didn’t stop Belynda. To keep her dream alive she began looking for vacancies and during this search for properties became her gateway into Real Estate. In 1998, Belynda began her real estate career as a shower with Solow Realty on the Upper Eastside of Manhattan. She was encouraged by others, observing her working with customers, that she should increase her real estate knowledge. Belynda enrolled in school to acquire her RE license. In 2000, she advanced her real estate career in Brooklyn where she worked as a Sales Agent with Teamwork Realty. There she was successful in selling her first 4 family building. 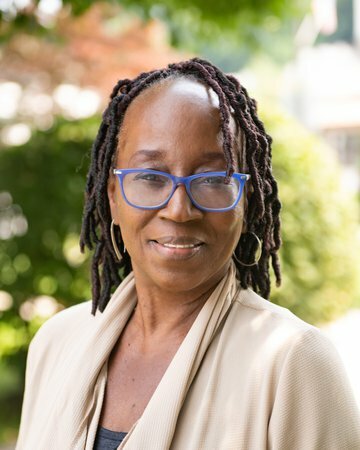 Ms. Hardin, being a resident of Harlem since 1995, decided to place her license with Harlem Homes Realty in 2003 and in 2005, where she earned her Associate Broker license. She serviced her community gaining years of experience working directly with buyers and sellers in Harlem and Upper Manhattan. Belynda has worked closely with homeowners of townhouses assisting in finding not only qualified and reliable tenants, but matching the requirements and needs of the owner to the needs of the tenant. Belynda stresses the importance of achieving the right energy for the home. This keeps her clients on repeat business. From converting townhouses into modern living spaces to selecting the perfect tenants for owners, she has become a renowned figure in the Harlem community and New York City real estate. To gain more exposure she moved her license to Harlem Lofts Inc. in 2008 where she continued working in both residential and there expanded her knowledge again in Commercial real estate. She was successful with leasing retail commercial spaces. Joining Link NY Realty in 2015, she is continuing her trajectory to service people with finding the right home, finding great locations for business owners, screening and placing wonderful tenants for investment property owners and most of all taking a deep breath and smiling.